Good morning, dear friends! I hope you enjoyed the first day of May and had a lovely time! We had a great time, we strolled in the nature under the warm sun and ate out and enjoed chasing our babayboy who has become a bit naughty! 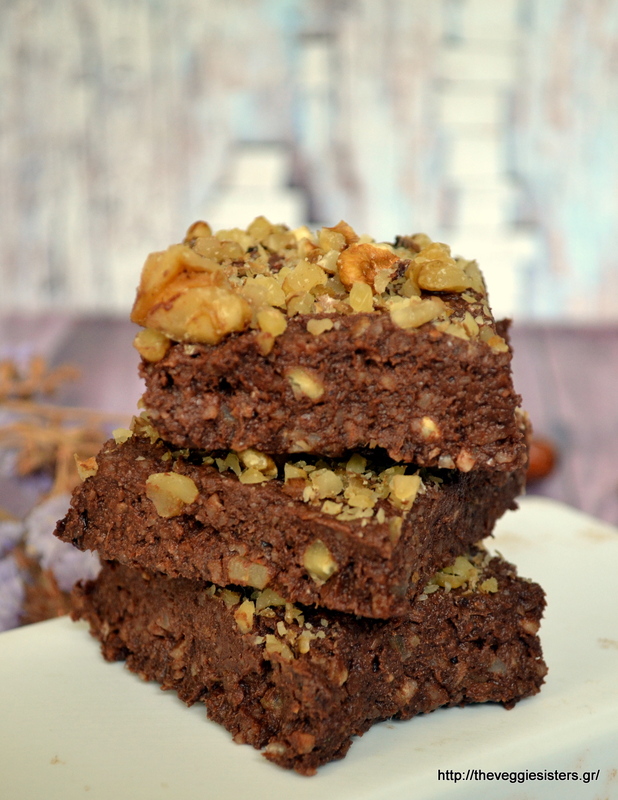 The brownies I am posting today are absolutely mouthwatering! Easy and quick to make, with just 4 ingredients, vegan, raw, healthy and addictive! You should definitely try them! I bet you and your kids will love them! So go make yourselves this decadent dessert! Soak dates in warm water for 1 hour. Put the almonds and 1 cup of walnuts in a blender and pulse until powdered. Add cacao and pulse again. Tranfer in a bowl. Then pulse dates until you get a paste. Add the nut mixture and pulse until well combined. Empty batter into a pan lined with parchment paper, even it with a spatula and top with coarsely chopped walnuts. Put in the fridge to cool before serving. Enjoy! Share the post "Raw brownies"